Wait, is the "pet system" the only one listed not finished? Does this also rule out having "follower" characters as well? Also, I should have added on this earlier, but what is the maximum amount of buttons for playing? Like Mugen has 6/7 not counting moving as well? Until now, the layout with more buttons in EF-12 is the SF (Street Fighter) layout, with 6 buttons. 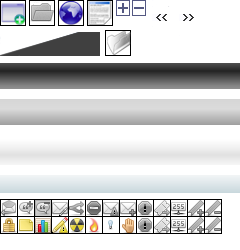 But, nothing says that more buttons can not be added in a custom layout, like 7, 8 or even 9 buttons. Wait, it's free? I just now noticed that in the title... I bought it from Steam for 10$. ...And this window only appears for a split second, and vanishes, and nothing else happens. Did I do something wrong? Can I fix that? Previous versions (Until 1.75) were free. Version 1.80 demanded at least one dollar. Verrsion 2.00, "Steaminated", got to be this price. A fair price to pay, considering that all characters were revamped and now it has a random arcade mode. It suffers from the less than 1 frames per second issue, though. Is that something I can fix in any way or am I kinda screwed? Laptops are not the best choice to run EF-12. I have a dual-core desktop vith a 256 Mb Ram video card from the factory (2009 Dell Optiplex 960), and It runs well here (24 fps), despite the minimum Ram recommended be 1 Gb. I don't think my desktop can even handle it at all. This laptop's able to handle Unity games full speed though and has Windows 10, are we sure there's no setting to... Lower quality or something to make it playable...?